Available from United Poultry Concerns: $10. Paula talks Mr. Dredge into letting her accompany him into Shed Ten. Paula knew she would never forget the moment when she first saw the rows of cages, stacked from floor to ceiling, five tiers high. And she knew she’d never forget the first time she heard the sound of twenty-five thousand hens, all together in one building. It took a few seconds for her eyes to accustom themselves to the gloom, and to realize that the ghostly impression was due to the myriads of cobwebs that hung from the roof girders, and festooned various iron struts and items of machinery. Dusty light bulbs glowed dully the length of the aisle down which Mr. Dredge was leading the way. What happens next? Buy this wonderful book, with its modern moral dilemmas about rescuing suffering animals and breaking the law, and find out. This book is highly recommended. 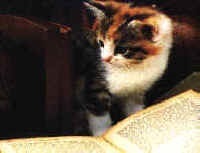 It’s perfect for the intelligent young person in your life and as a gift to the school library. Order by check or money order for $10 from UPC, PO Box 150, Machipongo, VA 23405, or by credit card. 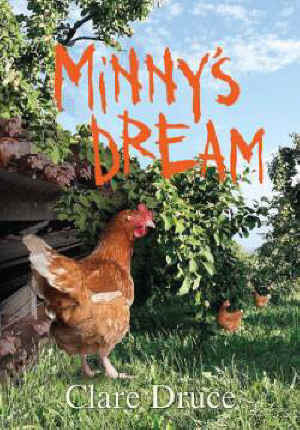 Clare Druce, the author of Minny’s Dream, is the cofounder of UK-based Chickens’ Lib, the first organization in the world to specialize in exposing the suffering of egg-laying hens, turkeys, and baby “broiler” chickens in industrial agriculture, and to advocate for “poultry” rights. Clare and Chickens’ Lib were key factors in my decision to found United Poultry Concerns in 1990, and Clare was, and continues to be, my mentor. Clare’s new book Chickens’ Lib: The Story of a Campaign is a compelling, deeply moving, often darkly humorous account of Chickens’ Lib’s 40-year fight for chickens and turkeys against the Powers That Be, showing what a small group of totally dedicated activists can accomplish.